A young girl, who has been accused of witchcraft, clings to her father who gestures towards the authorities come who have to arrest her. 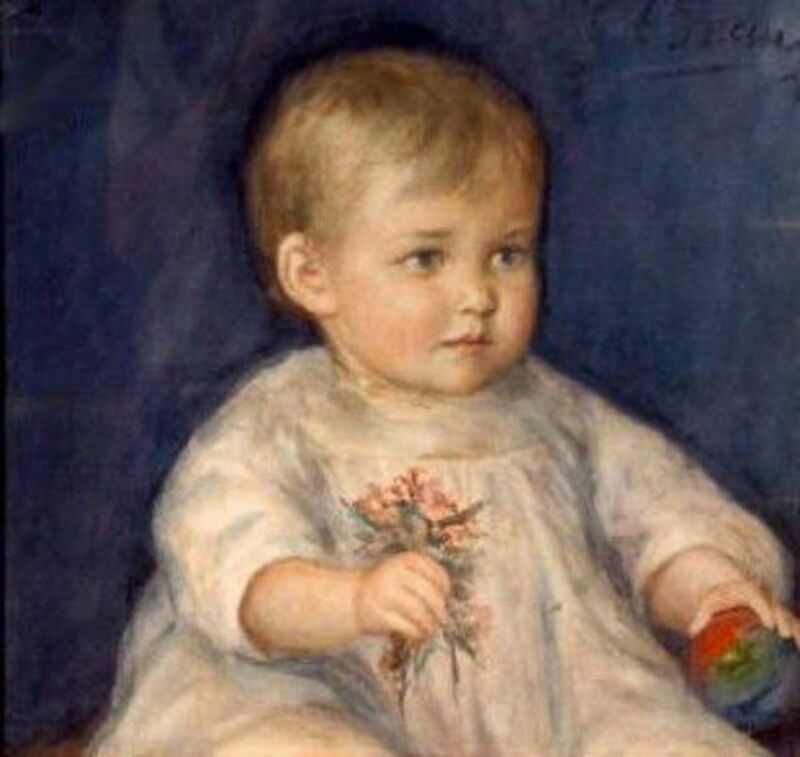 Oil painting by Douglas Volk, 1884. Corcoran Gallery Washington, D.C.
An intense Providential-based theology became the foundation of Anglo-Saxon colonists in America. The phenomenon of humanity surrounded by an invisible world of spirits dictated by God was the conventional belief held by Puritans. 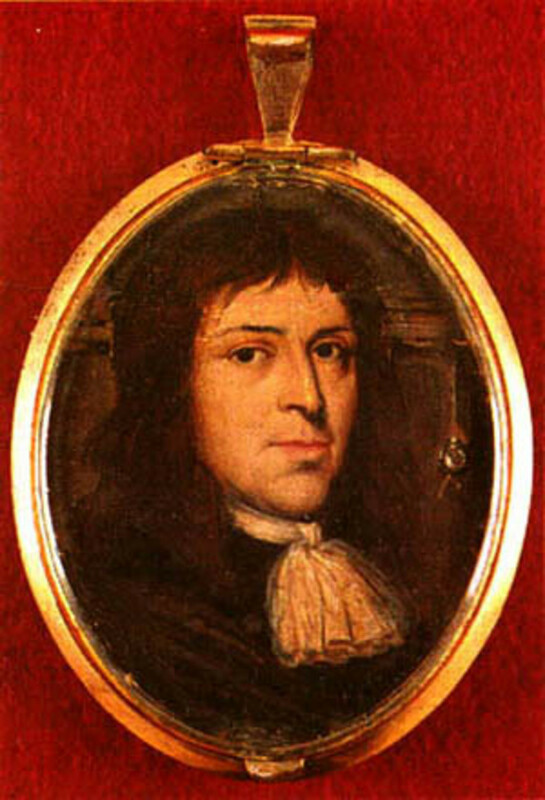 Puritans such as prolific writer and minister Cotton Mathers (1663 – 1728), was convinced of the existence of witchcraft in the Salem Witch Trials. Conservative theology was confronted through philosophical and scientific development, nurtured by the Enlightenment period. Consequently, this resulted in an eventual loss of respect for Puritanism within secular society. Ultimately, the Puritan interpretations of the Salem Witch Trials were critically disputed by Enlightenment academics. 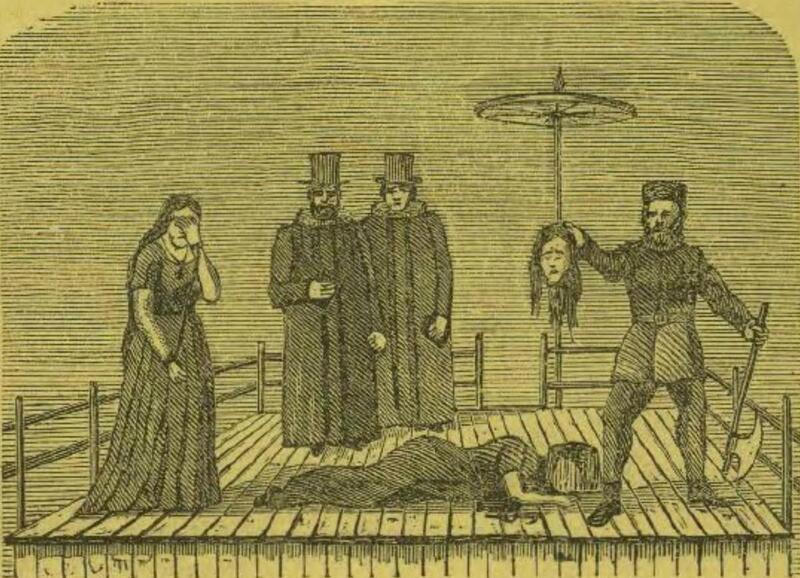 The Salem Witch Trials (1692) was a period in American history characterised by hysteria and Wiccaphobia. This afflicted the Puritan, New England colony of Salem in Massachusetts where over 200 citizens were convicted and 20 were executed. The trials began in February (1692) when two allegedly afflicted girls, Abigail Williams and Elizabeth Paris stated there was demonic activity in the Salem community. The trials were a series of hearings and prosecutions of those accused of witchcraft. Hysteria perpetuated and resulted in individuals such as Reverend George Burroughs’ execution. The trials ended in May 1693 with the release of the accused victims. 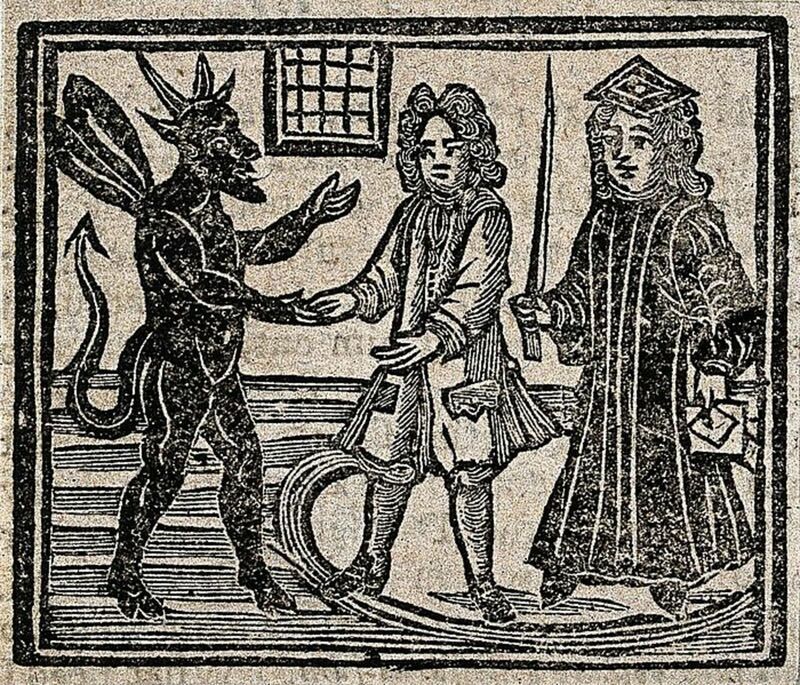 Enlightened society was increasingly detached from the notion of witchcraft during the early eighteenth century, however, the question of satanic possession persisted as a paramount concern in Puritanism. Puritan perspectives on the Salem Witch Trials were dominated by opportunistic authority figures. 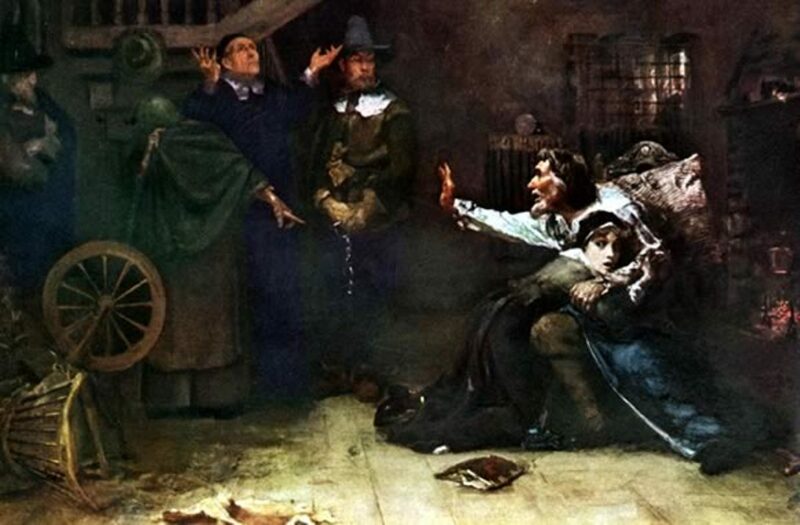 Cotton Mather socially and politically perpetuated fears of clerical necromancy during the Salem Witch trials since the Enlightenment increasingly attempted to diminish ecclesial authority. This made it Mather's vital goal to consolidate his jurisdiction on the execution of witches. His text, “The Wonders of the Invisible World” was a paramount example of this motive as known for his Puritan subjectivity. This featured his justification for his actions and accentuated the significance of Puritan administration. 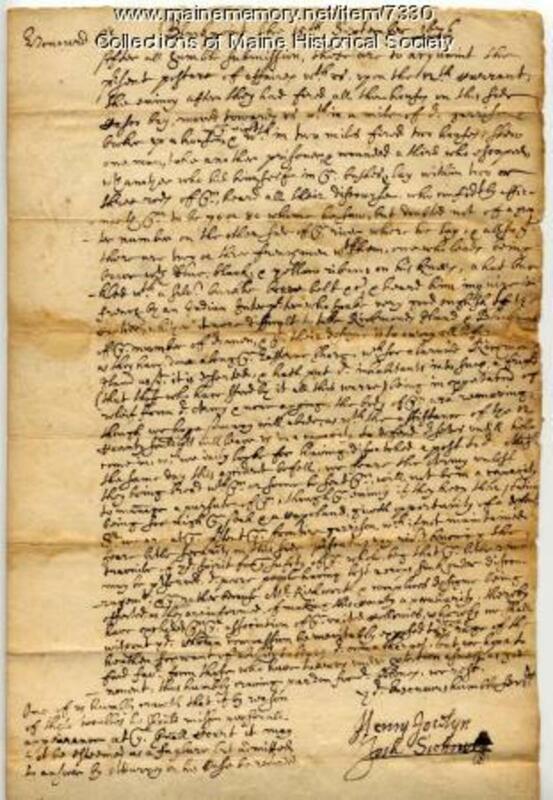 His text documented his letter to William Stoughton (the colonial magistrate and administrator in the Province of Massachusetts Bay) that claimed that George Burroughs (the only Puritan minister executed in Salem in 1692) was the ringleader of the witches. However, his judgement was flawed as it relied on contradictory statements from alleged witches in Andover, Massachusetts. Alleged Andover witch, Margaret Jacobs admitted that she was blackmailed in accusing Burrough's guilt in From the Dungeon, in Salem−Prison, August 20, 1692 (See: Appendix 1 at the end of the article). Contemporary Historian Richard Godbeer explained in his book, “The Salem Witch Hunt: A Brief History with Documents” that the New England court demanded 'two independent witnesses' for incrimination. 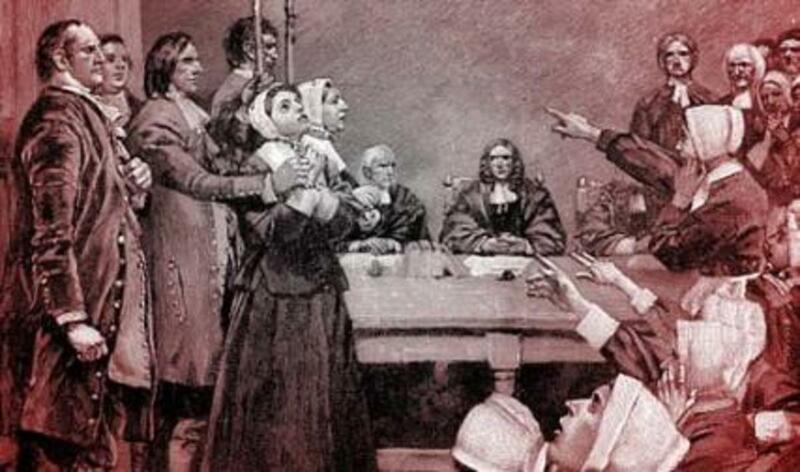 Hence, Jacobs' referred to the methodology that Mather and other Puritans partook in to examine the prosecuted. 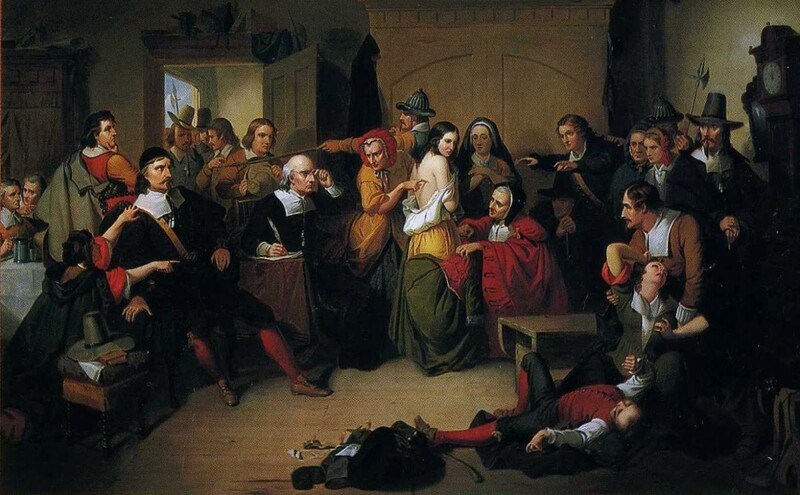 In an attempt to diminish spectral evidence, judges allowed a "touching test" where an examination of the accused was carried out for evidence of "witches' marks" (as demonstrated in Appendix 2). 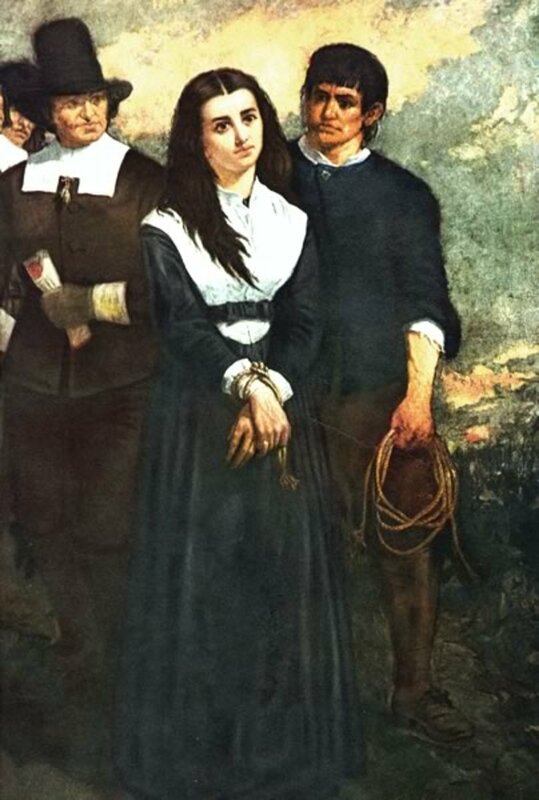 Exhibited through the forced confessions of the Andover Witches, the Puritan view on the Salem witch trials was contrived by domineering ministers. "Examination of a Witch" by Thompkins H. Matteson, 1853. This features how suspected witches were searched for 'witches marks' e.g. bruises, blemishes, moles, etc. The elements of the Puritan worldview in the Salem witch trials reverted around Providentialist ideologies. Within their theology, Satan played a demonic apparition to their world as the “power of air” and leader of the “evil Angels.” The trials catalysed as the power play to consolidate ministerial dominance. However, Mather had developed a pseudologia fantastica, which was an elaborate and often fantastic account of exploits that is false but that the teller believes to be true. This ignited the belief that malevolent, satanic witches were operating as an organised threat to Christendom. To not believe in Satan was to deny God’s omnipotence, a detrimental belief instilled into Mather's nurture as he stated that the witches "must go to...the devil, into everlasting burning." The underlying fear of 'everlasting burning' resonated in his diary entries and sermons. Mather’s fear of the afterlife was also accentuated by the approximately eighty times he had referenced “Satan” within his diary. Mather’s guides to witchcraft aimed to systematise knowledge towards humanity’s vulnerability to Satanism. Mather's diary explicitly demonstrated the hypersensitivity of occultism in Puritanical society's views of the trials. The devil or yellow fever? 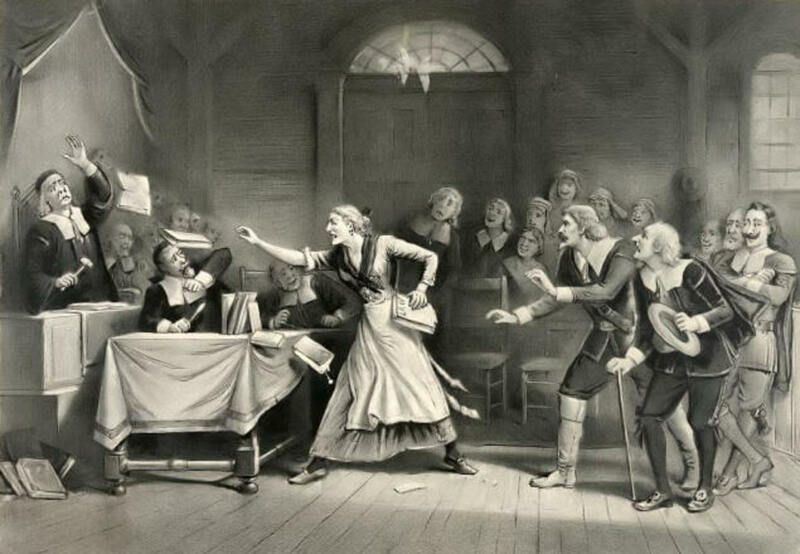 Puritan attitudes towards the Salem Witch Trials were exploitative and shaped by authority figures. Mather’s diaries contradicted his supposed belief in the righteousness of the trials. 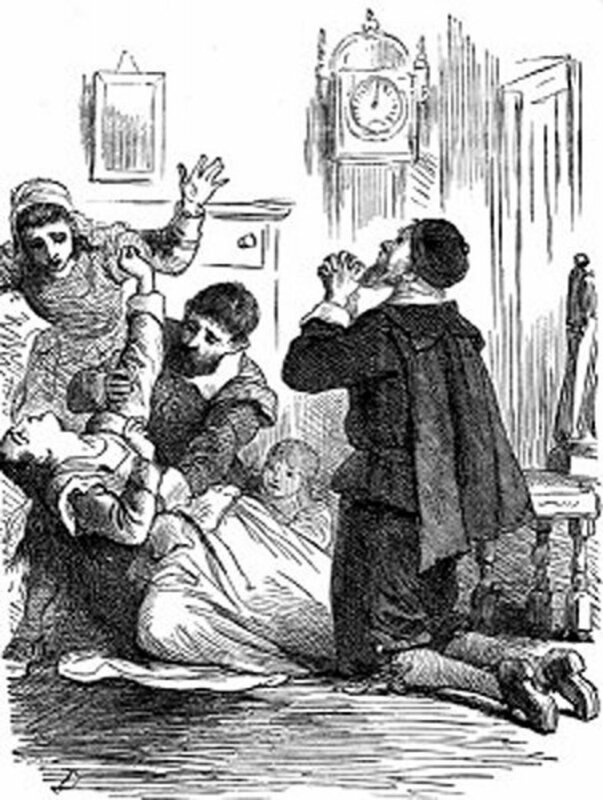 The way that medical explanations were disregarded, demonstrated the fluid views of Puritans. Mather witnessed yellow fever epidemics on the Rear Admiral Sir Francis Wheeler, (11th June 1693, Boston.) Ironically, the ‘afflicted girls’ symptoms coincided with smallpox. 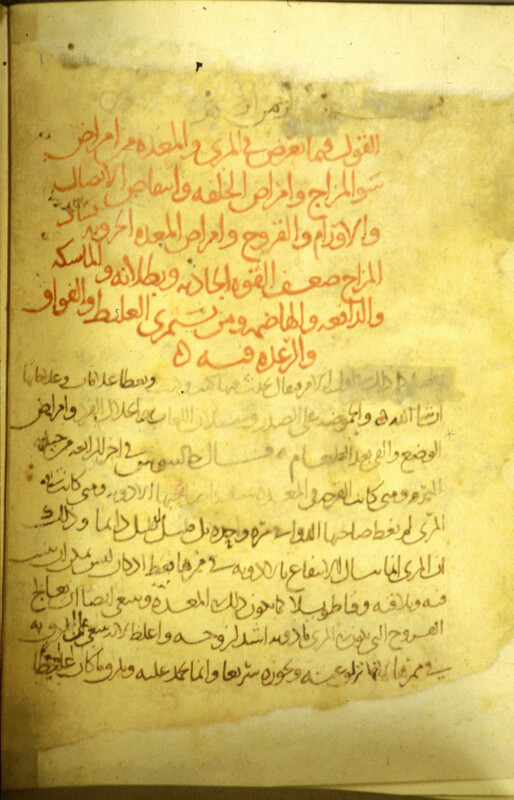 This consisted of vomiting and malaise, and was first recorded in 865-925 in the book, “Kitab al-Hawi fi al-tib.” The eminence of this text in Europe suggested that Mather recognised the physiological infliction of the victims. Hence, he had the ability to regard the trials as the result of ailment but intentionally omitted this possibility. Therefore, this exclusion implied that the Puritan worldview was founded on meticulous deception. Was the Salem Witch Trials a ploy to consolidate the churches' position? “The soul-killing witches that deform the body,” Shaks. 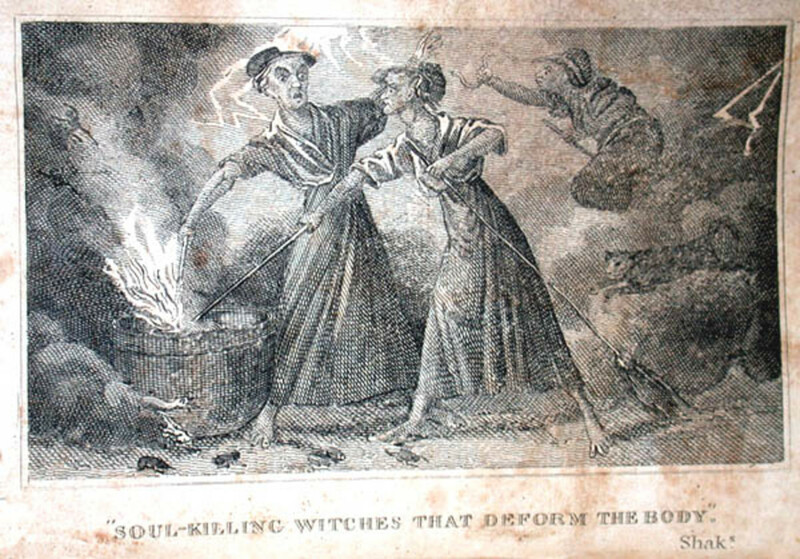 The image shows two witches stirring a steaming cauldron. Frontispiece, The Wonders of the Invisible World Displayed, by Robert Calef. New Edition. Boston: T. Bedlington, 1828. This conclusion was unlikely if he intended to support his society due to his previous medical training. The fact he excluded the possibility of illness to be the root of the ‘afflicted girls’ suggested the manipulation of the Puritan villagers. This trepidation systematically alleviated the role of the ministry in Puritan society. With disregard of medical causes, contemporary Historian Mary Norton targeted the hypocrisy of the executions. 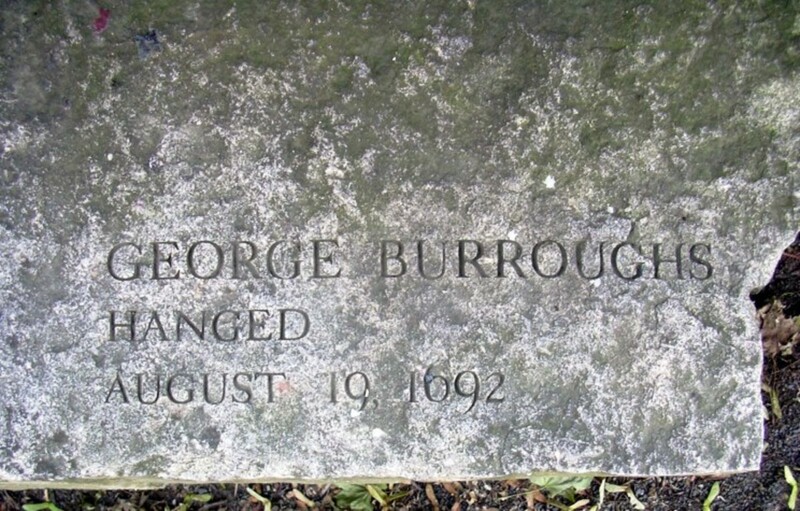 She argued that the accusations against Burroughs demonstrated the corruption of Puritan authority. 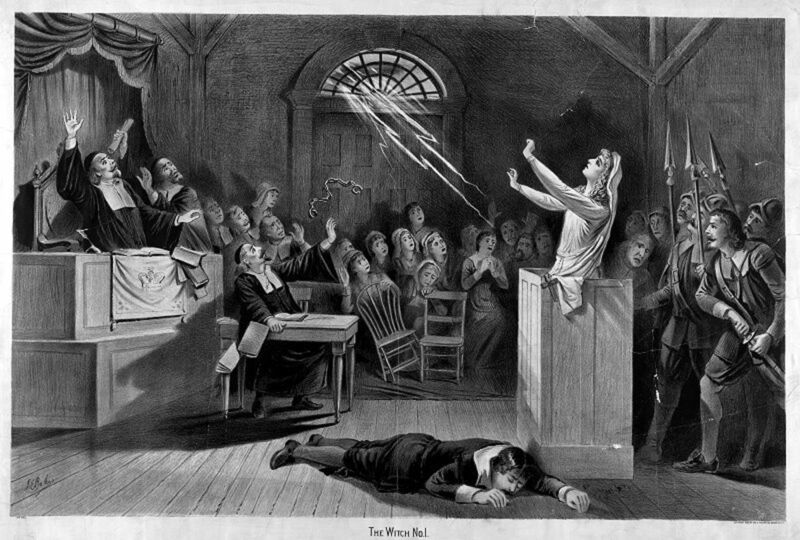 Norton made a social comment on the extremity of Puritan beliefs in regard to the Salem Witch Trials. It was plausible that the Puritan worldview of the Salem Witch Trials was a meticulous, minister-driven ploy to consolidate their position in society. The Salem Witch trials were met with severe criticism by Enlightenment idealists. Secular theorists remarked the witch trials as mere, “superstition”, according to Robert Calef. The term was a slanderous allusion to ‘uncivilised’ citizens outside of the classical world of Hellenistic authors. Sorcery was viewed as a false religion and an atrocity against the human aesthetic. Hence, Calef had attempted to undermine ministry integrity in Salem. From Calef’s commentary of Mather, Enlightenment viewpoints devalued the role of Puritans towards the trials, regarding it as detrimental to humanity's progress. 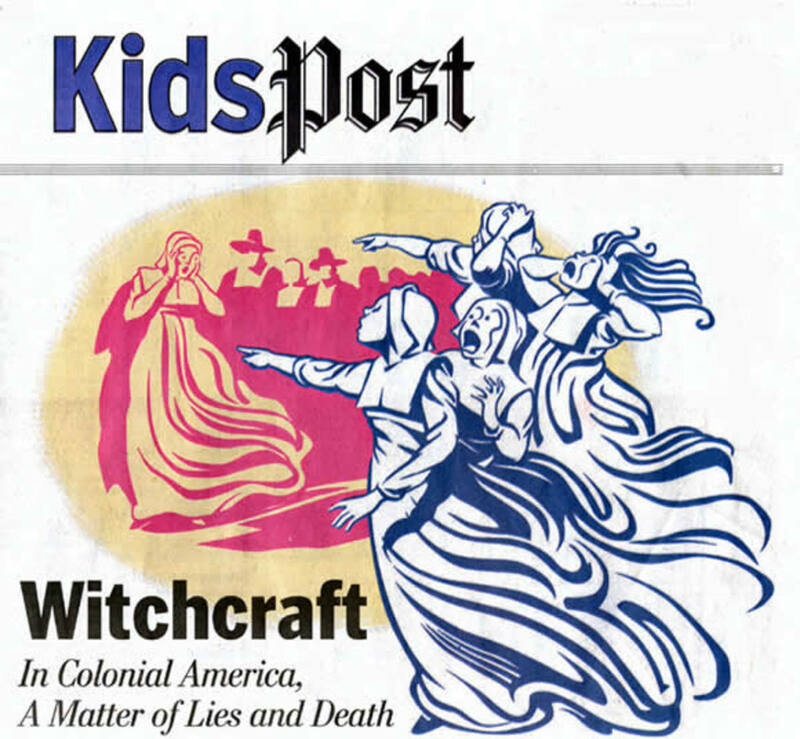 "Witchcraft in Colonial America: a matter of lies and death." 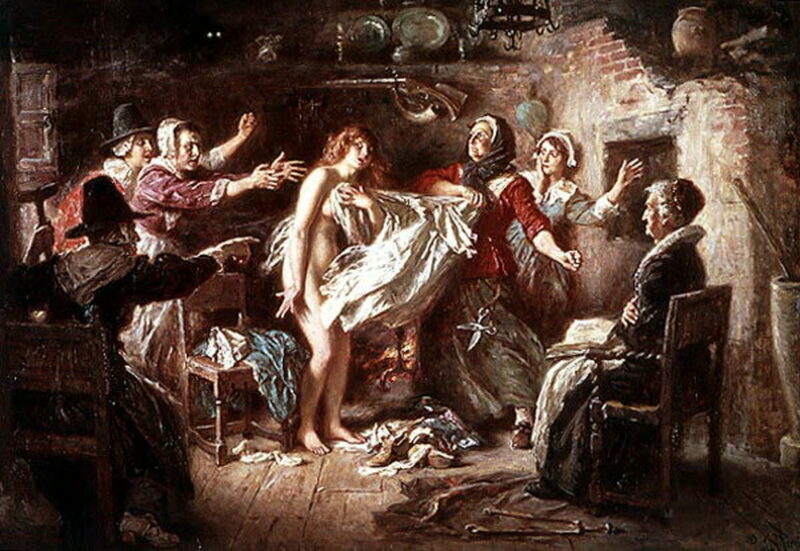 A generic scene of the "afflicted" girls in Salem Village accusing a woman of witchcraft. Source: Washington Post, KidsPost section, October 31, 2001. Artist; Steve McCracken. Â© Washington Post. Were The Salem Witch Trials used to create social divisions? Educated society became increasingly convinced that witchery was a ruse to advocate social disharmony, but the question of satanic pacts remained a major topic of authoritarian perplexity. Enlightenment scholars attempted to reveal that the Puritan judicial system was founded on social subjectivity. Calef utilised eyewitness accounts to target the hypocrisy of Mather’s actions, highlighting the element of religious bigotry in the trials. Calef proposed this as Burroughs advocated secularism, which was a threat to the ministry. One of the contradictions supporting his viewpoint was how Burroughs recited a perfect rendition of the Lord's Prayer. "The Devil has often been transformed into an Angel of Light." Viewing this as an arbitrary act of deceit, Calef targeted the fact that the prosecution progressed. Due to this, enlightenment scholars perceived the witch trial as the product of secular prosecution and ecclesial deception. Was The Salem Witch Trials the result of racism? Those within the enlightenment movement discerned the trials as the result of bigotry. Racism was a plausible cause of the trials due to the previous conflict between the Native Americans and New England. 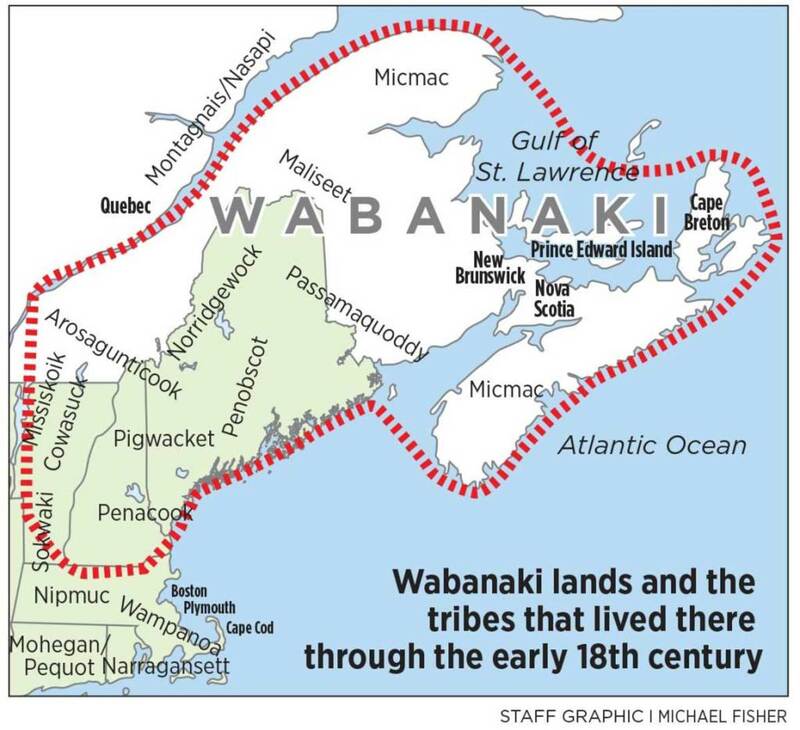 For example, when King Philip's War began in Massachusetts in 1675, the Wabanaki tribes (a coalition of five Algonquian, African American tribes) in Maine were pulled into the conflict. Attacks on Anglo settlements were subsequent until 1677, whereas the Treaty of Casco (1678) ended the war. Calef took this into consideration and argued that the trials were caused by these hostilities. This was also perpetuated by those in Salem who suffered from post-traumatic stress such as Ann Putnam (witness at the Salem Witch Trials). Image from Frank Leslie's Illustrated Newspaper 31 (1871), p. 345, Library of Congress, LC-USZ62-122180. Calef noted that Burroughs resembled the Wabanakis through his dark complexion. Abigale Williams publicly accused Burroughs as an occultist, regarding him as a ‘little black minister.’ This implied racial discrimination. Consequently, this motivated Calef to accentuate the irrationality of the Trials. Calef's aversion towards Puritan views were not aided by Mather's racist comparison of the Wabanakis’ to Satan. Calef disputed that clerics prosecuted those who were not in conformity with their society. This extraordinary Time of the Devil’s coming down in great Wrath upon us. The interpretation of sorcery metamorphosed from a non-fictional satanic offence into a fraudulent and morally inexcusable crime. 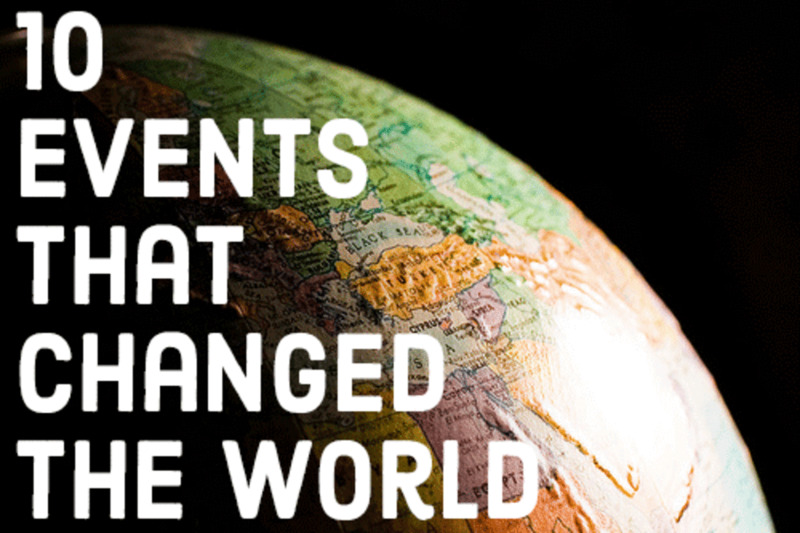 This was since the enlightenment was the intention of applying an objective and scientific approach to religious, social, political and economic issues. However, the trials were reliant on spectral evidence such as the use of dreams as evidence against the accused. Puritans also believed Satanic possession was possible through portals provided by blemishes. Hence, Enlightenment intellectuals perceived the witch-hunt as a reminder of humanity’s unjust cruelty. 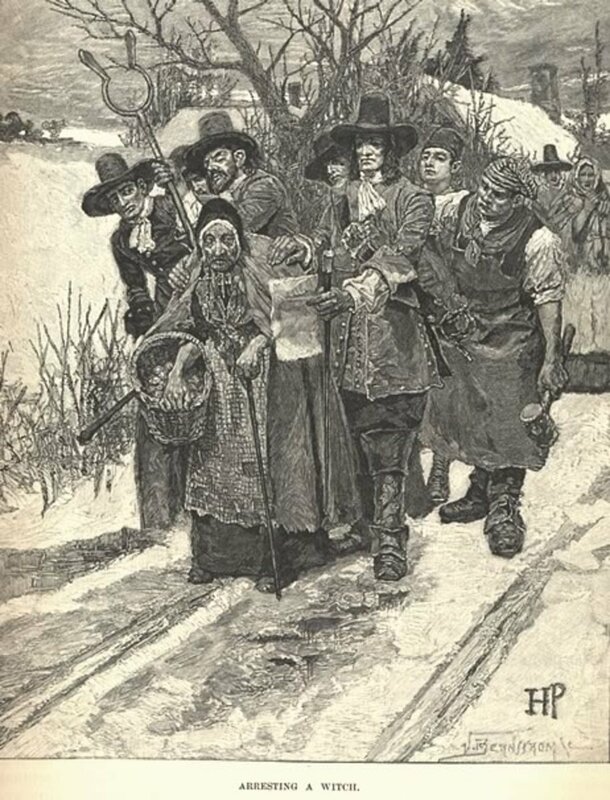 A generic scene that shows a woman being arrested for witchcraft, depicted conventionally as an old hag by the famous illustrator Howard Pyle. Harpers New Monthly Magazine, Vol. 67, (June - November), 1883: 221. This demonstrated Mather's motivation to advocate the witch-hunt. Increase Mather’s text was overwhelmed with subjective, Christian theology that Calef perceived as illogical. This was since Calef saw no scientific merit in the theory of, for example, blemishes being a mark of a witch. Calef’s text accused Cotton Mather of denouncing his scientific education through advocating spectral evidence. He argued that ministers would inadvertently make non-scriptural references and actions. Calef claimed these references were the meticulous, puritanical deception to prolong society's Wiccaphobia. Enlightenment scholars believed that Christian values of agape were ignored altogether during the executions. Calef scolded Puritanicalism for its "unscriptural" belief in the devil. On this basis, he argued that core Christian values were contradicted. For example, Nicholas Noyes (a pastor), gloated over the hanging corpses of “eight firebrands of Hell.” Furthermore, Calef claimed the Bible didn’t allude to witchcraft. "Witch Hill," or "The Salem Martyr"
Oil painting by New York artist Thomas Slatterwhite Noble, 1869. However, they observed the executions of those guilty of witchery based on spectral evidence. Calef concluded that the Mather family participated in “highly criminal” conduct through supporting the trials. The desire for publicity was a motive for various enlightenment individuals to criticise the Salem Witch Trials. During this period there was a publishing boom and a thirst for literary knowledge. He rubbed her stomach (her breast not covered with the bed-clothes) and bid others do so too, and said it eased her. Then she revived . . . [Upon her falling into another fit] he again rubbed her breast. 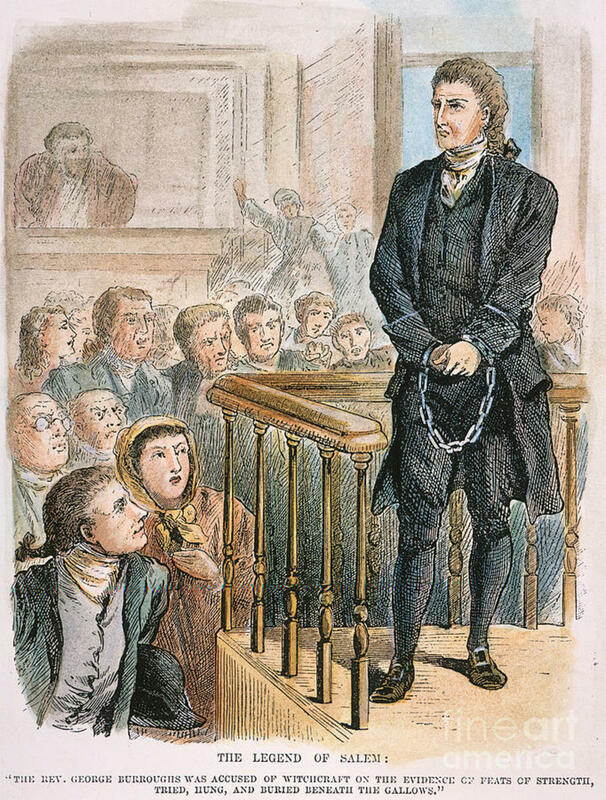 Calef demonstrated the impact of publicity in Enlightenment views of the Salem Trials. This was how he circulated this rumour, leading into a public confrontation from Mather. Charges of libel were laid against him in court that Mather consequently did not carry out with. The veracity of this accusation was debatable since it was founded on ambiguous construction without physical evidence. 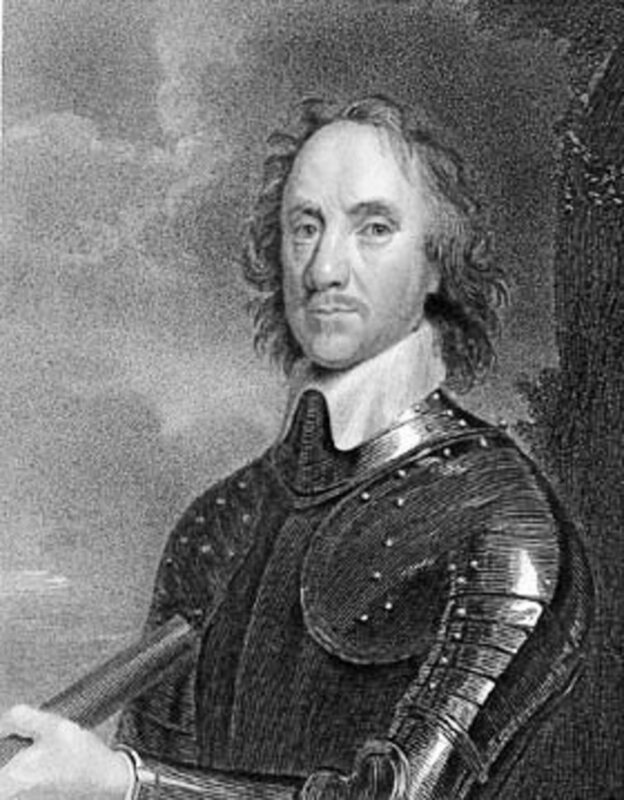 Mather was bound by English common law that forbade torture, except in the case of treason against the monarch. Hence, it was plausible Calef had committed libel as the Witch Trials became a controversial topic in Europe. Since Mather was a prominent Puritan figure, Calef specifically targeted the individual to gain publicity. This can be supported by Mather’s retraction of charges since challenging the rumour would have given it greater currency. Calef had intended for the rumour to permeate then continued to torment Mather with his book release when it hadn't. The manner that Enlightenment advocates addressed the witch hunt were moulded by the intent to gain public interest to advance their careers. Historian Puritans and the Enlightenment were swayed by the morals that society dictated to react to the crisis presented to them. 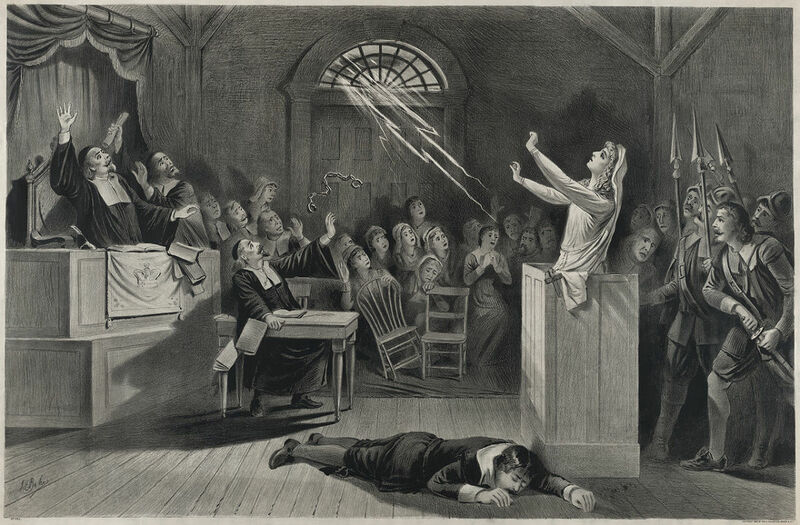 Neither Cotton Mather nor Robert Calef’s interpretation of the Salem Witch Trial may surpass each other in value or veracity. Instead, they were products of the sheer complexity of their contexts. 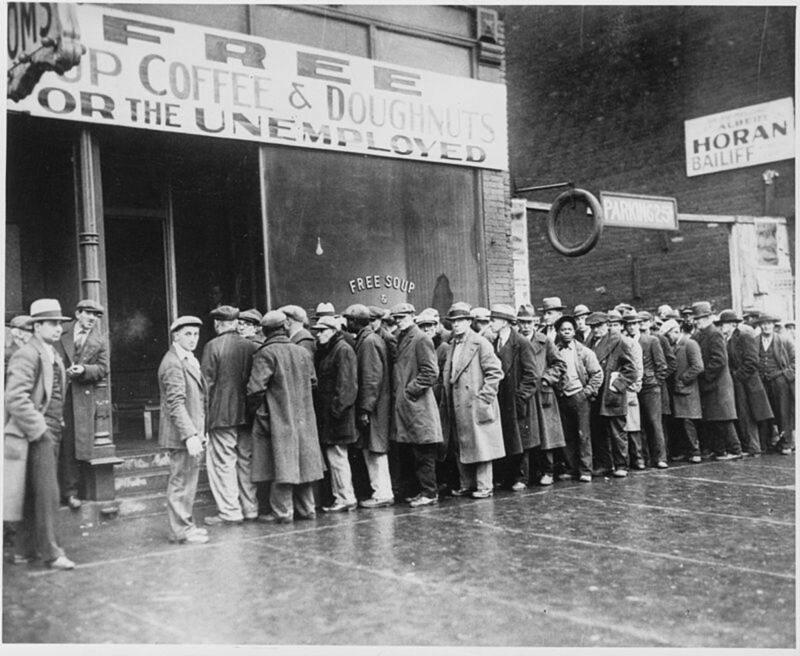 Each proposition on how to react to the crisis was an extension of the historian’s world view. The Puritan world was fashioned by traditionalist providentialism and their static reliance on ecclesiastical guidance. 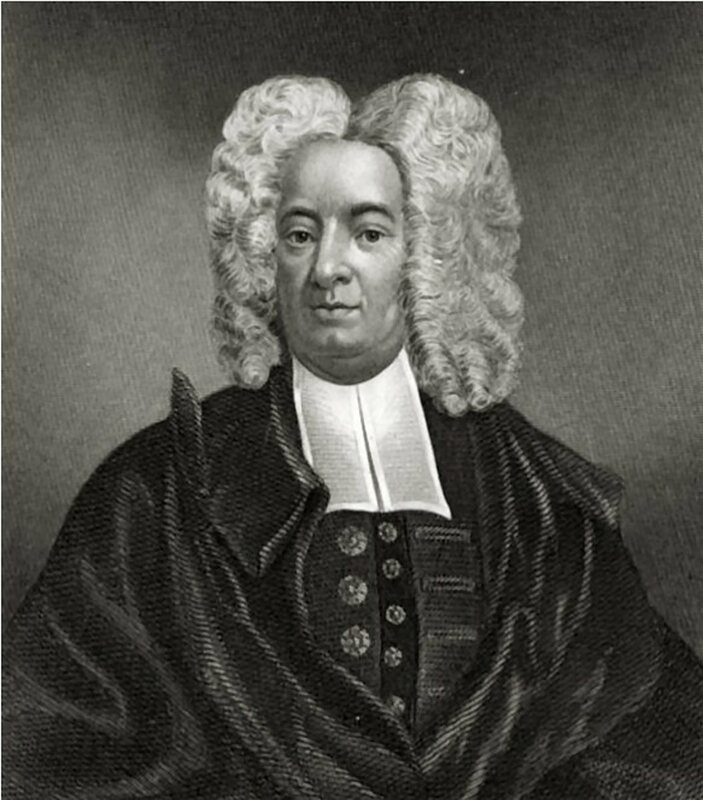 Reverend Cotton Mather’s ambitious intent to consolidate his prestige was riddled with apprehension of purity, eternal damnation and God. The Enlightenment was the reaction against traditional conventions and the Church’s dominance over society. Robert Calef’s view of the Salem Witch Trials was constructed by his craving for publicity, swayed by a movement that motivated free expression. Enlightenment views were also the reaction against theological inaccuracy and the dismissal of scientific evidence. Conceptually, the Salem Witch Hunt never ended. The word ‘witches’ has been simply replaced and has become synonymous to scapegoating. This is the inevitable reality of human nature since where there is a difference, prosecution will follow. 2. Al-Razi. Kitab al-Hawi fi al-tibb. Oxford Bodleian MS Marsh 156, fol. 167a lines 6-12. (also on page 122 in Volume 15 of the 1st edition of the 23-volume set of the book published by Osmania Oriental Publications Bureau, Osmania University, Hyderabad, India, 1955-7). 7. Calef, Robert. ‘MORE WONDERS OF THE Invisible World’ LONDON: Printed for Nath. Hillar, at the Princess-Arms, in Leaden-Hall-Street, over against St. Mary-Ax, and Joseph Collier, at the Golden Bible, on London Bridge, 1700. 9. Chadwick Hansen, Witchcraft at Salem, New York: George Braziller, 1969. 11. Cotton Mather, Magnalia Christi Americana: or, the Ecclesiastical History of New England, Hartford: Silas Andrus, 1820, Vol. 1. 15. Mather, Cotton, and Kenneth Ballard Murdock. Magnalia Christi Americana: Books I and II. Cambridge, Mass. : Belknap Press, 1977. 23. Story, William. The Witchcraft Hysteria of Salem Town and Salem Village in 1692: The Complete Touring Companion and Historical Guide. 1995 (Booklet). 27. Winship, Michael. Seers of God: Puritan Providentialism in the Restoration and Early Enlightenment. Baltimore, Md. : Johns Hopkins University Press, 1996. 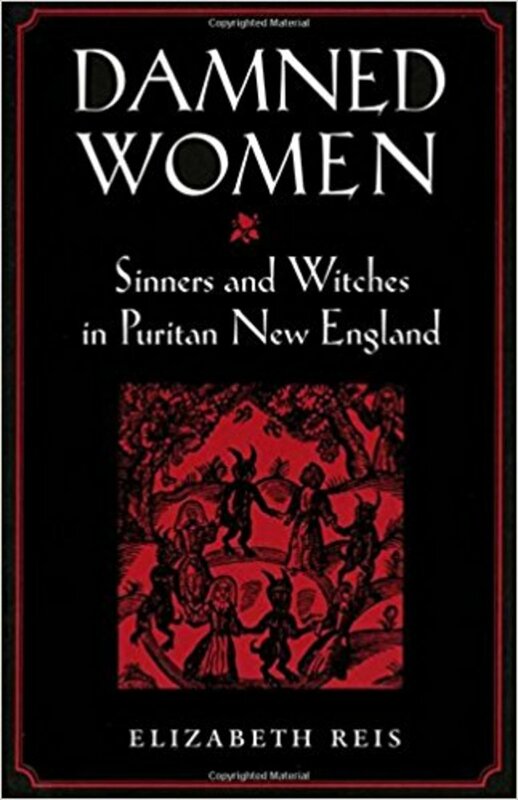 Book Review: "Damned Women: Sinners and Witches in Puritan New England"
Interesting piece. I happen to be reading The Witches: Salem, 1692 by Stacy Schiff which has rekindled my interest in the events of this time period. Very insightful perspective. I needed this information for my assignment, thanks!